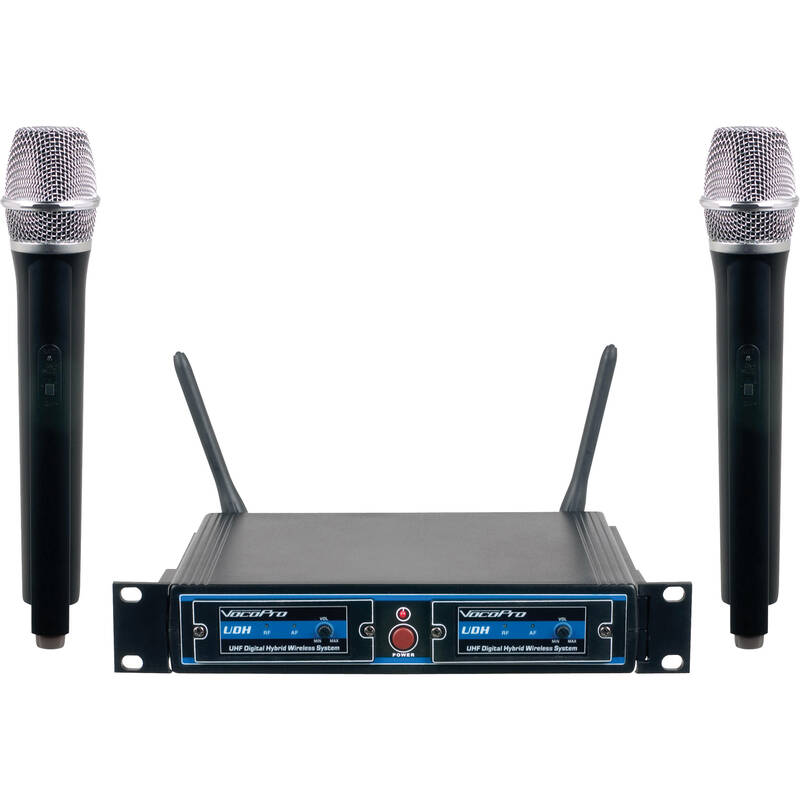 The UDH-Dual-H from VocoPro is a dual portable handheld 900 MHz two channel UHF Digital Hybrid wireless microphone system for capturing audio. It can be used for applications such as lectures, boardrooms, schools, houses of worship, and more. The UDH-Dual-H handheld transmitter is built with an on/off/mute switch and runs on two AA alkaline or rechargeable batteries. An LED is also featured that flashes once when power is turned on and flashes continuously when the batteries require changing. In addition, the receiver is built with a pre-amp, compressor, and an expander onboard. It is built with two balanced XLR output connectors and a 1/4" unbalanced output connector. An AC adapter, two rack ears, and a 1/4" cable are also included.